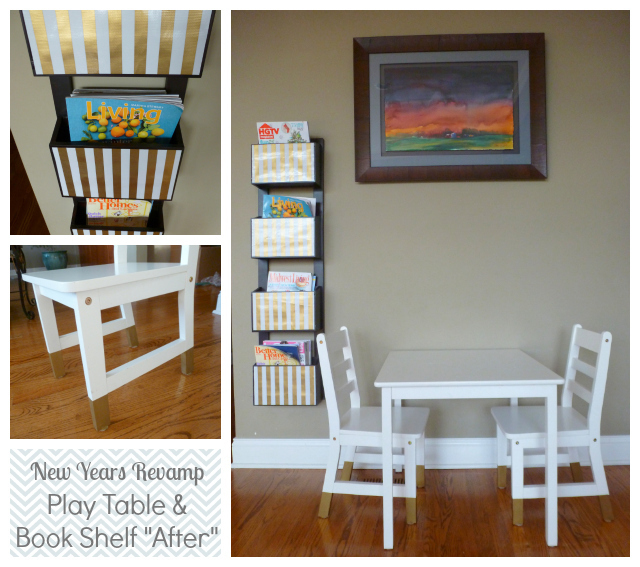 For my second New Years Revamp project, I tackled the most frequently used 20 square feet in our house – the area where the girls’ play table sits in the living room! 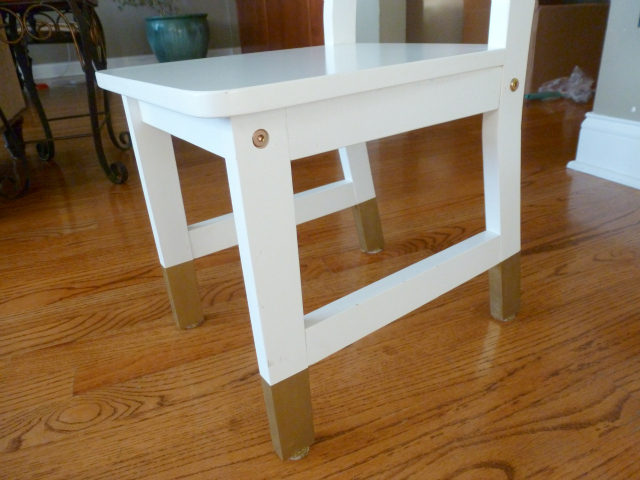 This little table has undergone a lot of wear and tear since my mom gave it to Stella when she turned 1. 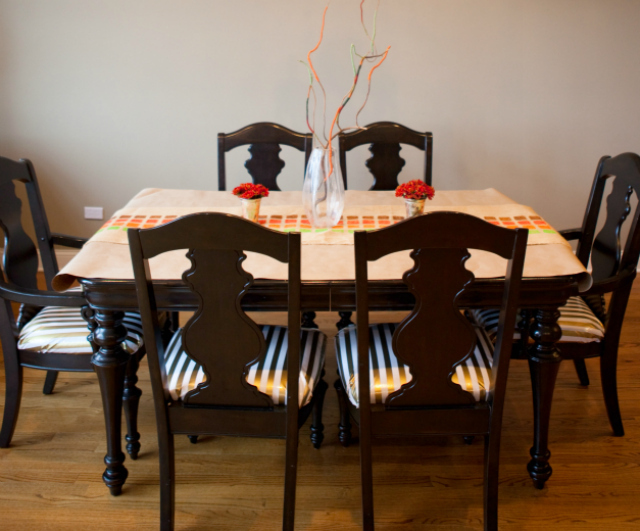 The girls use the table for eating, coloring, crafts, puzzles, you name it – on a daily basis. 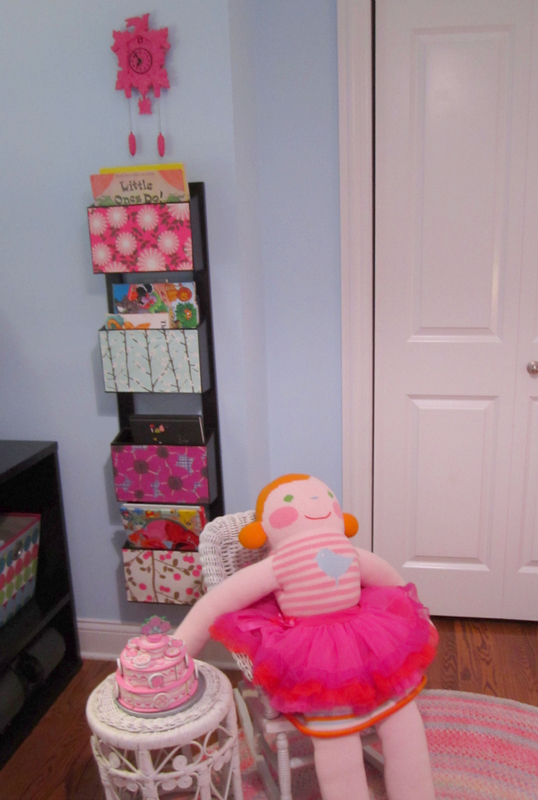 The whole idea for the project came about when we had to take down the rack (serving as a book shelf) in Stella’s room. 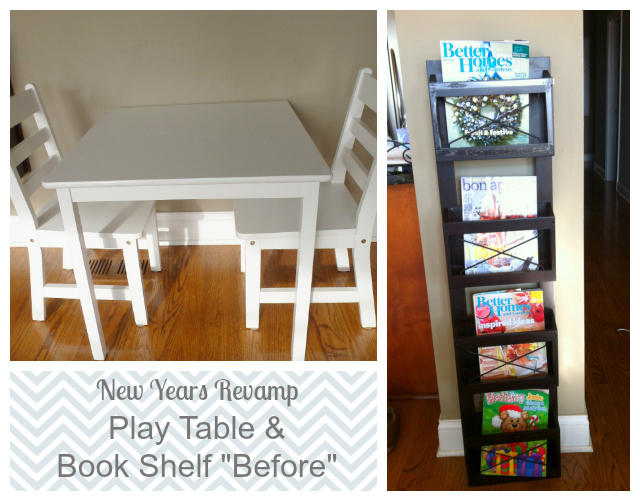 Do you remember this initial DIY book shelf makeover I did? 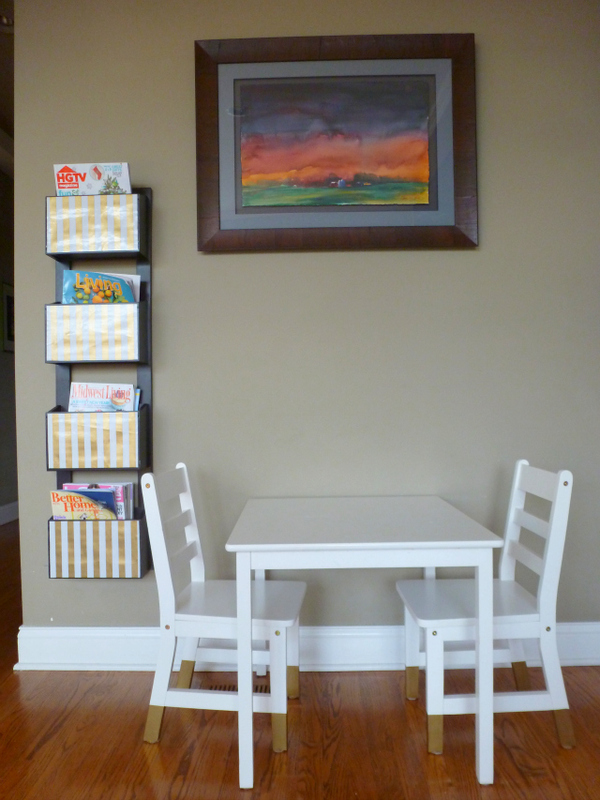 Well, for the second incarnation of the magazine rack I did something very similar. However, rather than covering it with some pretty paper, I used the metallic striped oilcloth leftover from recovering our dining chairs. 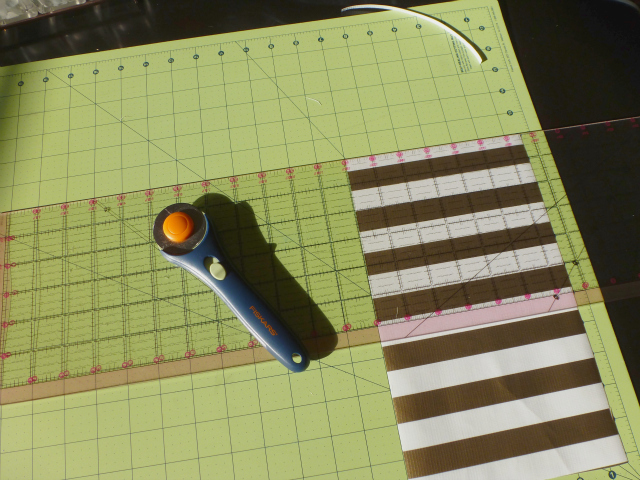 I used the same technique to cover the magazine rack as I did in my initial tutorial, although this time I got out my handy cutting board and fabric rotary cutter to make sure I cut the rectangles nice and straight. 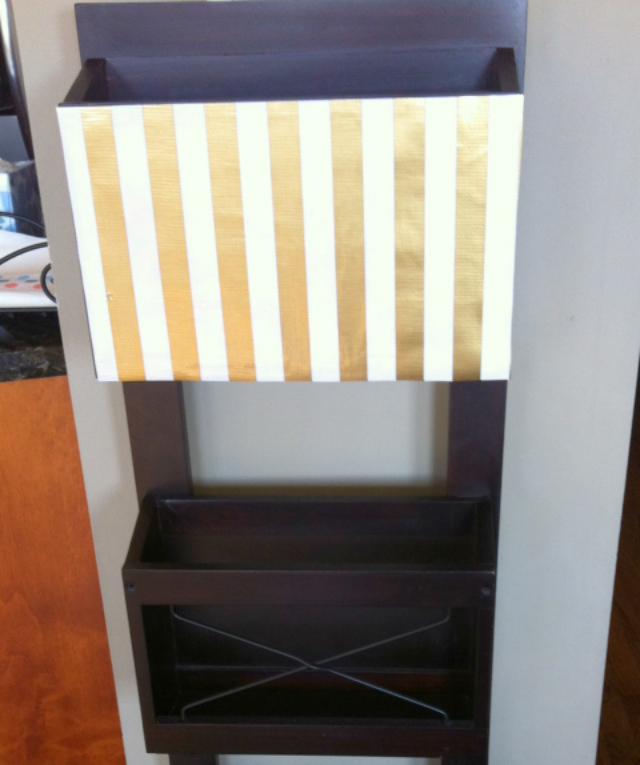 I again affixed the panels to the magazine rack using some double sided tape, and it worked great! 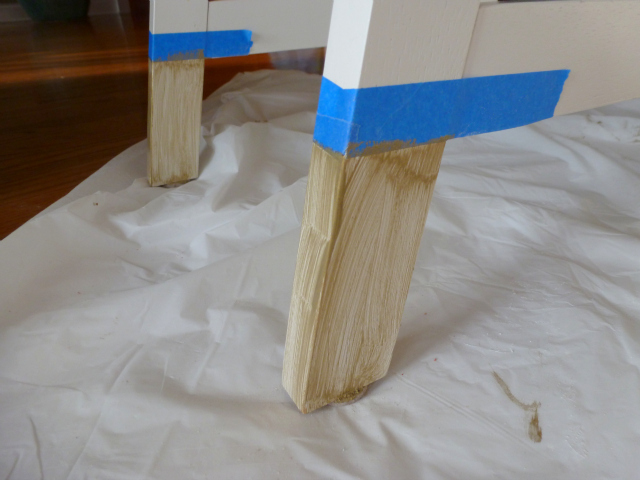 As for the painted (‘dipped’) chair legs, I originally came across this idea a year ago in Better Homes and Gardens and Martha Stewart Living and blogged about it here. Well, better late than never to try out a project idea I saved, right?! 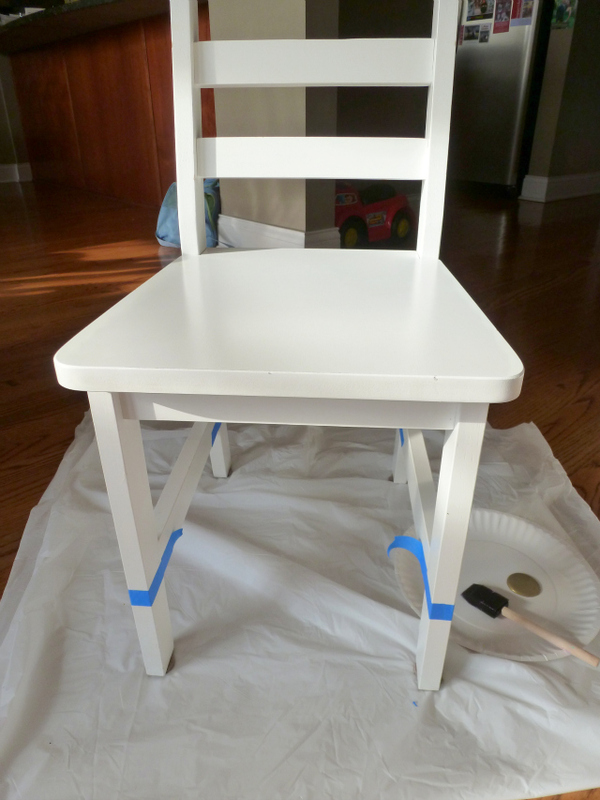 I was further inspired by this tutorial for dip dyed play chairs on The Land of Nod’s blog (created by my blogging friend Julee). I just followed Julee’s instructions here. 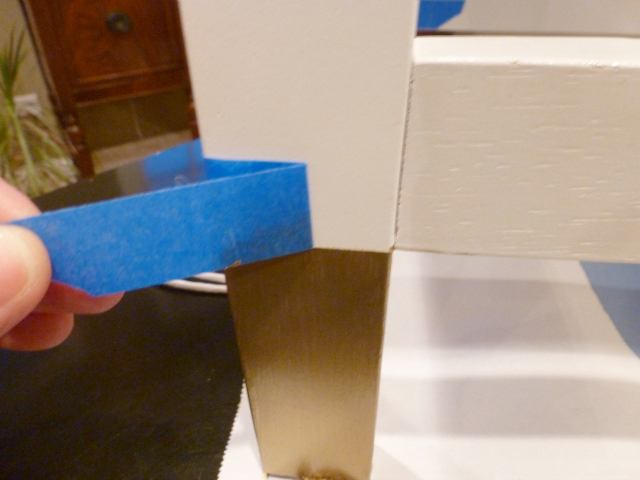 It was really simple – you just tape off the bottom of the legs with painters’ tape and then apply some acrylic craft paint with a foam brush. Don’t you just love pulling off the painters tape and seeing a nice straight line?! 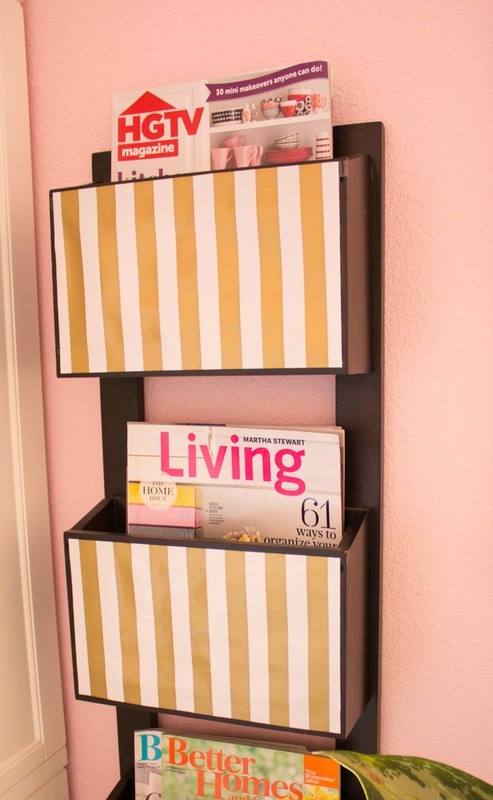 Update as of 9/4/2013 – the magazine rack is now being used in my new pink office and looks great!